Federal PLUS Loan is a student loan made to parents of a dependent student. Parents may borrow up to the full cost of college, less any other federal financial aid or Stafford loans. A parent must have good credit history to qualify for a Parent PLUS loan. Who is eligible for Parent PLUS Loans? - These PLUS student loans are made to parents of dependent college students, both undergraduate and graduate students (who are considered to be independent and can apply on their own). What if a parent has bad credit? - These loans are only made to creditworthy parents. You must pass a credit check. A parent with poor credit may be able to get a cosigner. If your parent is turned down, you can obtain some additional unsubsidized Stafford student loans equal to the same amount as an independent student. See Federal Stafford Student Loans for those amounts. Do I need to demonstrate financial need to get a PLUS student loan? 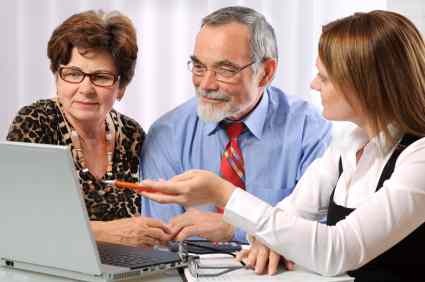 - No, your family does not need to demonstrate financial need. What are the PLUS student loan interest rates? - These vary depending on when you obtained the loans. The federal Parent Plus loan interest rate for 2018-2019 is 7.6%. The federal Parent Plus loan interest rate for 2017-2018 is 7.0%. The federal Parent Plus loan interest rate for 2016-2017 is 6.31%. This rate will now vary each year based upon the 10-year Treasury note interest rate (4.6% above the rate). The maximum loan rate will be 10.5%. Are these direct government loans or private loans? Starting July 1, 2010 all new PLUS loans are Direct PLUS loans made directly from the federal government. Prior to then, some were Federal Direct PLUS loans and some were from private lenders under a program called FFELP. To apply for a federal PLUS loan, you will start with the same financial aid application for all college financial aid - the FAFSA. Be sure to complete the Parent section, as that is required on a federal PLUS loan application. Later, you will work with the school financial aid office by submitting an application for www.direct.ed.gov.